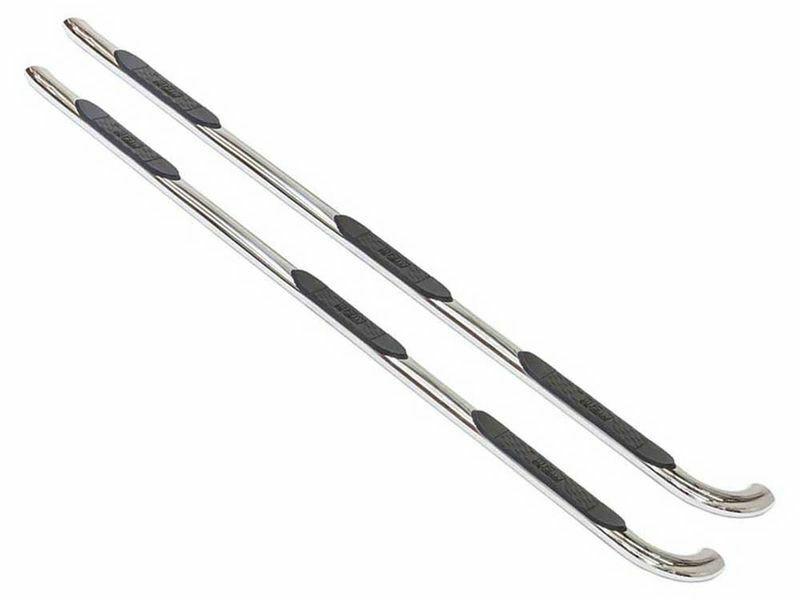 If you are in the market seeking top of the line nerf bars, you've landed on the right page. The Westin black platinum oval nerf bars are just that. They offer a sleek black look that accent the under body of your truck. Additionally, the ends are mandrel bent 90 degrees pushing the bar out to give you a large stepping platform each time you step into your truck. These bars also offer a nice non-slip step pad, which secures your foot in all weather conditions. These nerf bars are coated with a thick layer of black powder coat paint, ensuring resistance to corrosion and the finish will stand the test of time. If you're looking to step up with style, make sure to buy the Westin platinum oval nerf bars today!